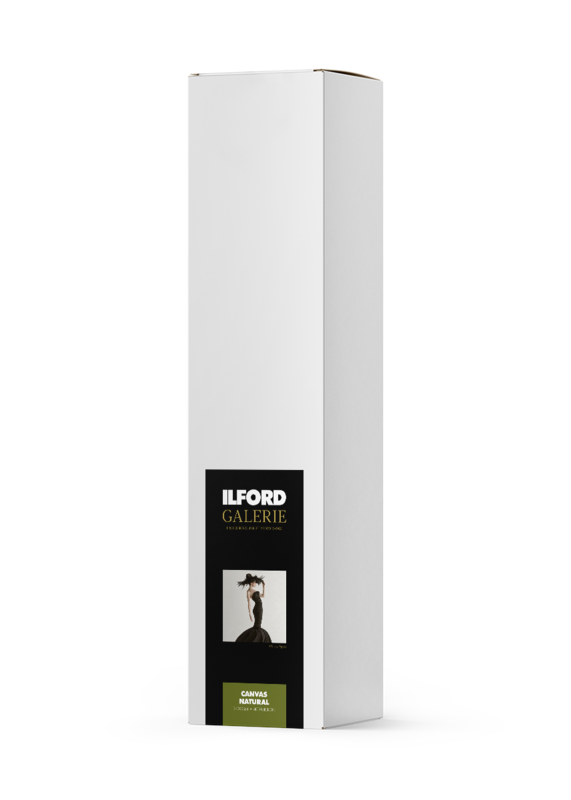 ILFORD GALERIE Canvas Natural is a cotton/polyester blend canvas with a matt surface and natural tint. With no added optical brightening agents in the coating layer, this canvas offers stunning colour reproduction thanks to a wide colour gamut that enhances rich colours and provides deep, dense blacks. Featuring a 1:1 weave structure for high quality graphic art applications, the structure of the fabric enhances the decorative effect making it perfect for framed art without edge cracking. The material can also be sewn for use as a banner.